Today Katherine’s Upper Intermediate Class became budding Cate Blanchetts as they performed three comedies by DM Larson: Underdog, Kiss me I’m Irish and From Waiting on a Train. Before the performances, which they delivered without scripts, they did some fun exercises in trust to build their confidence and to eliminate any stage fright. 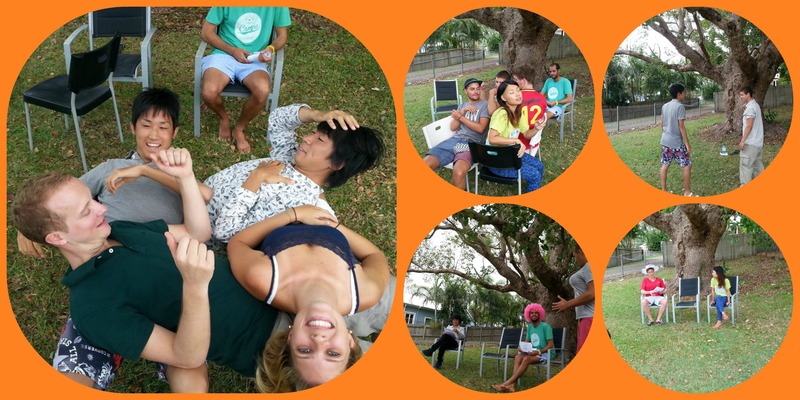 This entry was posted in Activities, Pictures, Student News, Study, Uncategorized by Lexis | Byron Bay. Bookmark the permalink.